10 ways to save money on your energy bills. It is January and we are all looking for ways to save money, One expense that costs a lost is electricity below, so let me tell you some tips on how to save money on your energy bills. A simple way to cut down the cost of your energy bill is to simply turn down your thermostat by 1c can save up to £75 per year. When you feel cold don't instantly whack the old heating up but put an extra layer on with jumpers, socks, dressing gown etc. Even having throws can help a great deal. Another way to stay warm is to have a warm drink can help you feel instantly warm. If your not using appliances turn it off and even turn the tv off at the mains. Don't have lights on if someone is not in the room it is a total waste and can save you a lot of energy. When you are doing your clothes washing it is a good idea to change the temperature down 10 degrees for example from a 40 to a 30c can make a huge difference on your bill and could potentially save up to £52 per year. Did you know a cold draught can cause you to lose heat and money so it is important to get your home draught proof because it can be easy to just think to turn the temperature up especially in old homes? A thing that you can consider doing in your home is draught excluders and investing in draught proofing kits. If you don't have double glazing them you can get plastic trimming to go around your window to stop the draught coming in and keep the warmth in the room. Line your letterbox and if you have a chimney that is not in use then seal that up like that can easily save you £25 per year. Don't put hot food into the fridge or freezer straight away as it messes up with the temperature of the fridge, it is better to give the food time first to cool down and then store it in the fridge or freezer. Instead of hitting the bath first swap over to the shower and try to make your showers no longer than 10 minutes as this will reduce the amount of heated water that you use. Check the boiler on the temperature that your hot water is at and think about trying to reduce it just by one degree will make a massive difference to reducing the energy you use. Make sure that if you don't use a room regularly to turn down the radiator and make sure that doors are closed and curtains/blinds are drawn in the evenings to keep the heat in and room toasty. 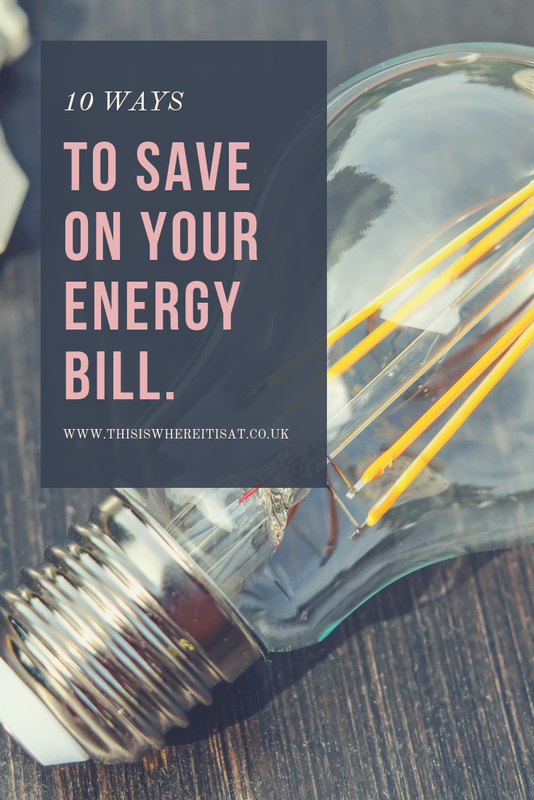 What methods do you use to help with reducing your energy bill?